Coachella is coming, and for the eighth year running, YouTube will host an exclusive live-stream of the West Coast festival’s first weekend. 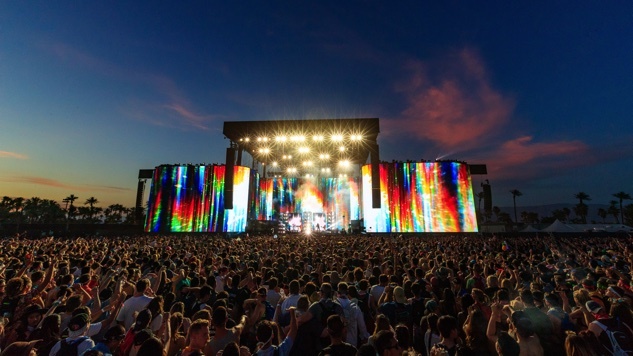 The Weeknd, Beyoncé, Eminem, SZA, Haim and many other artists of note will descend on Indio, Calif. starting this weekend on April 13-15, with YouTube streaming their sets on desktop, mobile and TV. Weekend two (April 20-22) won’t stream on the site, though, per Billboard, so mark your calendars accordingly. The festival’s 2018 lineup also includes the likes of The War on Drugs, St. Vincent, Vince Staples, Bleachers, Tyler, the Creator, David Byrne, Alt-J, Fleet Foxes, Angel Olsen, First Aid Kit, ODESZA, Portugal. the Man, Migos, Miguel, King Krule and Kamasi Washington. In other words, there will be no shortage of stream-worthy sets. Coachella’s YouTube channel displays a list of live-stream-confirmed artists, which includes 75 artists as of this writing—most of the artists we’ve named thus far are on it, with the noteworthy exceptions of Eminem, SZA, Byrne, Fleet Foxes, Miguel and King Krule. “List in progress, keep checking back for updates,” the site notes. YouTube’s set-up comprises four simultaneous live-streams, so if you want to catch multiple artists whose sets overlap, you can manage it, if you have enough screen space. One of said live-streams is a VR180 channel that enables viewers to experience performances (plus YouTube-exclusive on-the-ground coverage) via VR headsets like Google Cardboard and Daydream View. And those of you who are compulsive music fest set planners can create a personalized viewing schedule ahead of time—the live-streams will automatically switch to the sets you’ve selected. Again, Coachella weekend one kicks off this Friday, April 13 and runs through Sunday, April 15. See a teaser for YouTube’s live-streams below, find the full list of stream-confirmed artists on the festival’s YouTube channel here and revisit the full lineup right here.